Your ideas, your lifestyle, your tastes, your practical needs and your budget are all key to developing the ideal garden for you. I will visit you at home for this important first meeting and like to meet both halves of a couple if appropriate. After this meeting which usually takes 2-3 hours you will receive a proposal for the design work. This will detail all the stages and deliverables for the design process. Once you have accepted my proposal I will start work on your individual design. There is a small charge (currently £50) for the initial consultation meeting and travelling expenses are charged outside a 10 mile radius. Survey and site analysis: for smaller gardens I will carry out a basic site survey before design work commences so that a scale plan of your garden can be produced. For larger gardens or more difficult sites it will be necessary to employ a professional surveyor which I can arrange for you. Construction drawings, specification documents and setting out details: these enable the garden to be constructed as envisaged on the masterplan. Liaison with contractors: I am a professional garden designer and horticulturalist not a builder so I do not physically build the gardens I design myself but I do want to make sure that your garden is built as detailed in the design. I therefore like to work with professional local contractors and can arrange for them to quote for the construction of your garden if required. Alternatively, you may know someone who is able to do the work for you or you may want to do it yourself. The contractor will be employed by you but I can, if you wish, project manage the building work. 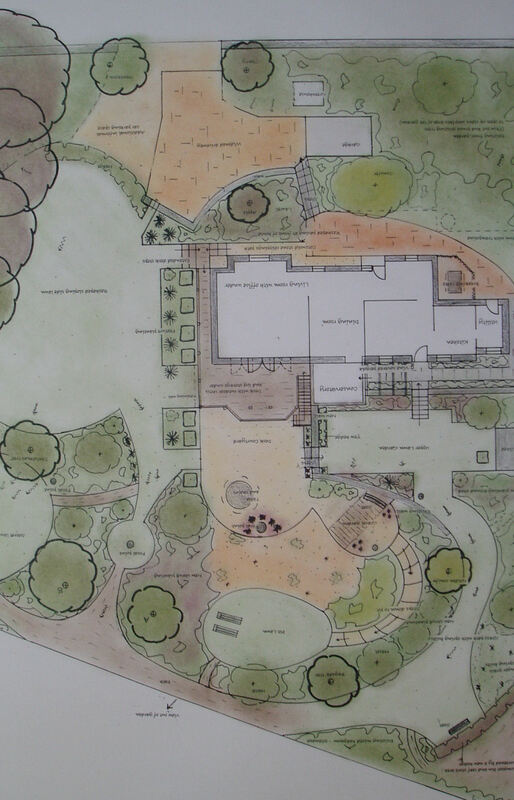 Whenever possible I prefer to be involved in the initial layout of the garden design on site and will be available if contractors have questions that arise during the build. Planting: Planting up the garden can be the most exciting part of the design process – as it is when the garden really starts to come to life. I am always keen to get clients involved in their garden and am more than happy for you to assist with the planting – but only if you want to! See Planting Service for more details.